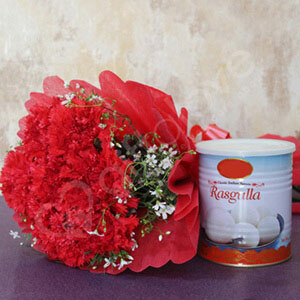 Ribbons and wrapping paper of the bouquet can be reused for decorative purposes. The ancient Greeks and Romans wore crowns made from the carnations. For someone with a beautiful heart, this beautiful bunch of flowers is the perfect gift option. 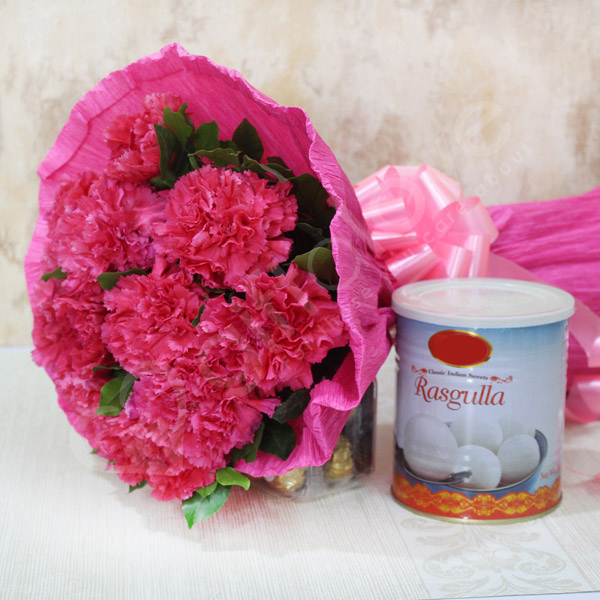 Also being clubbed with a pack of delicious Rasgulla sweet, this gift combo is one perfect gifting option to make choice for. Also, the receiver will love this gift combo a lot. 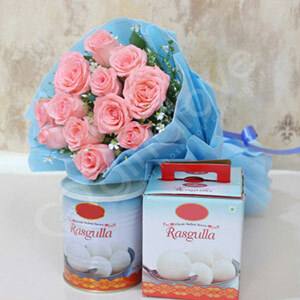 The pink carnations look very fresh and beautiful and the box of rasgulla was also in good condition.